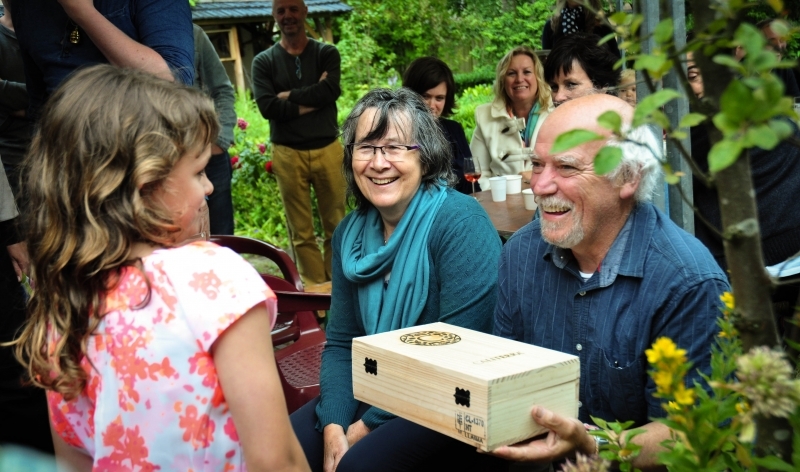 2014-06-16 Our traditional Garden Party in Rine and Els Dona's beautiful garden was a great success. In the picture one of the children visiting the party hands over a present to our hosts. Many children visit and are always being entertained by part of our staff and their partners.